Use a u-shaped peeler to peel the fruit. Using a sturdy knife, cut the quince in half. Cut some into segments and remove the core, but leave some just as they are if you like. 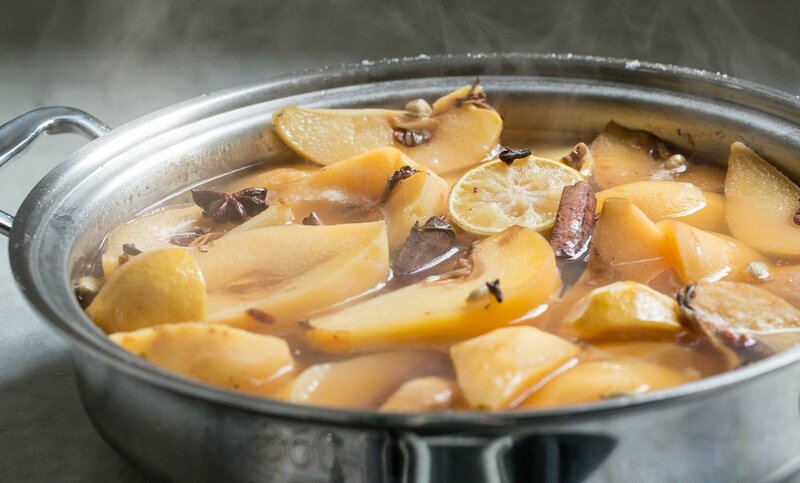 Get a large pot ready with water (start with about 2 cups), the juice of 2 lemons (and the squeezed lemons themselves), 4 cinnamon sticks, a scattering of cloves and cardamon pods, a sprinkling of star anise, and a vanilla pod, split lengthwise and teased open with the tip of a paring knife. Stir in 2 cups of sugar. Bring the pot to a boil, reduce to a simmer and poach away. The room will smell fantastic in short order. 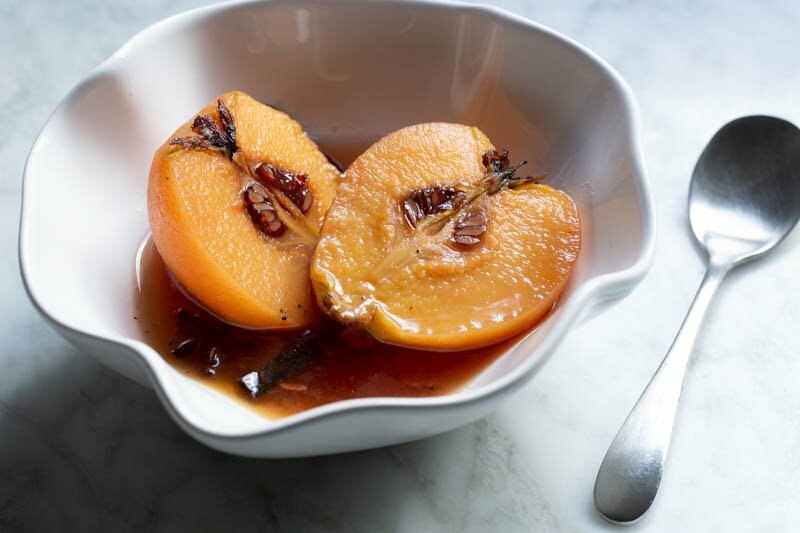 Scoop about ½ cup of the quince poaching liquid into a small pot and bring to a boil. Allow the liquid to reduce by about half, turn down the heat and then add two quince halves. 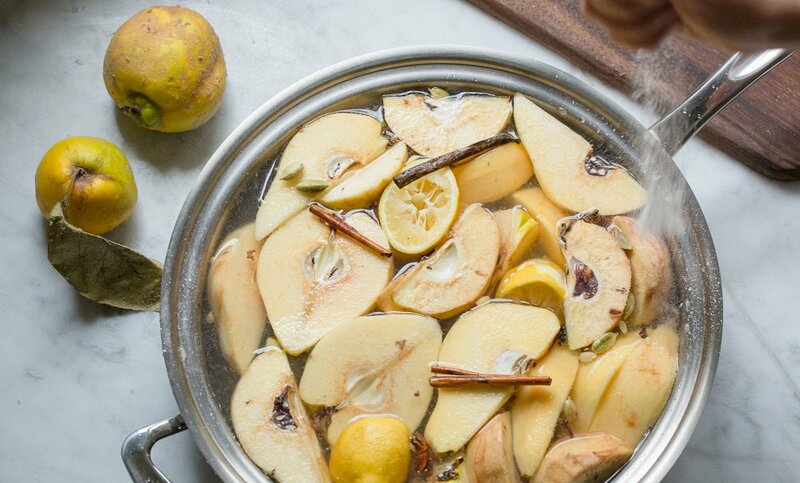 Let the quince warm in this liquid, and then serve. Enjoy on its own and on your own, or with a plop of honey yogurt or ice cream. You deserve it!